Irvine Ranked No. 1 City in Fiscal Strength! Based on their thorough ans nonpartisan analysis, Truth in Accounting ranked Irvine as the most fiscally healthy large city in the United States. You can read the Truth in Accounting report, “The Fiscal States of the Cities,” here. The Truth in Accounting report comes at a crucial time as the City of Irvine begins to apply several increases in fiscal responsibility and government transparency that I strongly urged and supported — a two-year budget in the context of a comprehensive five-year financial plan and an Irvine Sunshine Ordinance that expands review time of all regular agenda items to 12 days. Recently, in addition to the No. 1 ranking from Truth in Accounting, the City of Irvine has been awarded national and state awards this year for its budget team: The Distinguished Budget Presentation Award by the Government Finance Officers Association of the United States and Canada represents the highest form of recognition in government budgeting for a municipal entity, and the Excellence Award for Fiscal Year 2018-19 Operating Budget was presented to Irvine by the California Society of Municipal Finance Officers. Irvine is used to winning awards for fiscal responsibility and transparency. We were also ranked No. 1 by Truth in Accounting in 2018. Also last year, the City of Irvine received the Certificate of Achievement for Excellence in Financial Reporting for the Comprehensive Annual Financial Report from the Government Finance Officers Association , as well as two other prestigious awards: The GFOA Distinguished Budget Presentation Award representing the City’s commitment in meeting the highest principles of governmental budgeting, and the California Society of Municipal Finance Officers Award for Excellence in Operational Budget. In addition, I received the Orange County Taxpayers Watchdog Award from Orange County Auditor-Controller Eric H. Woollery in 2017, along with Mayor Don Wagner and Councilmember Christina Shea. I am extremely proud of these awards. But much more important to me is the fact that our City is truly serving its residents with fiscal responsibility and transparency. I ran for City Council on a platform of using my skills as a business attorney to safeguard every public dollar, and I have kept that promise by making sure that Irvine is financially transparent and doesn’t spend more than it can afford. I have made it my mission to make our City’s budget truly transparent and free from any obfuscations or accounting tricks. These awards reflect the commitment that I’ve made to the taxpayers and residents of Irvine, and to the principles of government transparency and fiscal responsibility. City of Irvine Wins National Awards for Budgeting and Fiscal Transparency! I am proud to announce that the City of Irvine has been awarded the Distinguished Budget Presentation Award by the Government Finance Officers Association of the United States and Canada (GFOA). The award is the highest form of recognition in government budgeting for a city. It is a significant achievement by the City of the Irvine. The award reflects the commitment of the Irvine City Council, our City Manager, and City staff to meeting the highest principles of governmental budgeting. In order to receive the budget award, the City had to satisfy nationally recognized guidelines for effective budget presentation. These guidelines are designed to assess how well an entity’s budget serves as: a policy document, a financial plan, an operations guide, and a communications device. Budget documents must be rated “proficient” in all four categories, and the 14 mandatory criteria within those categories, to receive the award. In addition, the City received the Excellence Award for Fiscal Year 2018-19 Operating Budget from the California Society of Municipal Finance Officers. There are more than 1,600 participants in the Budget Awards Program. The most recent Budget Award recipients, along with their corresponding budget documents, are posted quarterly on GFOA’s website. Award recipients have pioneered efforts to improve the quality of budgeting and provide an excellent example for other governments throughout North America. These awards come at a crucial time as the City of Irvine begins to apply several increases in fiscal responsibility and government transparency that I strongly urged and supported — a two-year budget in the context of a comprehensive five-year financial plan and an Irvine Sunshine Ordinance that expands review time of all regular agenda items to 12 days. Last year, the City of Irvine received the Certificate of Achievement for Excellence in Financial Reporting for the Comprehensive Annual Financial Report from the Government Finance Officers Association , as well as two other prestigious awards: The GFOA Distinguished Budget Presentation Award representing the City’s commitment in meeting the highest principles of governmental budgeting, and the California Society of Municipal Finance Officers Award for Excellence in Operational Budget. I also received the Orange County Taxpayers Watchdog Award from Orange County Auditor-Controller Eric H. Woollery, along with Mayor Don Wagner and Councilmember Christina Shea. As a member of the Irvine City Council, I am extremely proud of these awards. But much more important to me is the fact that our City is truly serving its residents with fiscal responsibility and transparency. These awards reflect the commitment that I and my colleagues on the Irvine City Council, as well as our Finance Commissioners and our professional City staff, have made to the taxpayers and residents of Irvine, and to the principles of government transparency and fiscal responsibility. Posted in Uncategorized	| Tagged 68th AD, 68th Assembly District, affordable housing, Affordable Housing Finance, Auditor-Controller Eric H. Wollwery, Brown Act Irvine, Brown Act\, California 68 AD, California 68th AD, California 68th Assembly District, California housing, California Society of Municipal Finance Officers, California Society of Municipal Finance Officers Award, California Society of Municipal Finance Officers Award for Excellence in Operational Budget., Certificate of Achievement for Excellence in Financial Reporting, Chair Melissa Fox Irvine Community Land Trust, City of Irvine, City of Irvine City Manager, City of Irvine’s Administrative Services Department, Comprehensive Annual Financial Report, Eric H. Wollwery, fiscal responsibility, Fox 68th AD, Fox 68th Assembly District, Fox California 68 AD, Fox California 68th AD, Fox California 68th Assembly District, GFOA, GFOA Distinguished Budget Presentation Award, GFOA Irvine, Government Finance Officers Association, government transparency, housing, housing tax credits, http://www.csmfo.org/, IBC, ICLT, inclusionary zoning, Innovative Housing Opportunities (IHO), Irvine, Irvine Business Complex, Irvine California, Irvine City Council, Irvine City Council agenda, Irvine City Council Melissa Fox, irvine City Council Member, Irvine City Council Member Melissa Fox, Irvine City Councilmember Melissa Fox, Irvine City Hall, Irvine City Manger, Irvine city planning, Irvine community, Irvine Community Land Trust, Irvine Community Services, Irvine Finance Commission, Irvine fiscal responsibility, Irvine funding, Irvine government transparency, Irvine inclusionary zoning, Irvine inclusionary zoning plan, Irvine Measure D, Irvine Melissa Fox, Irvine non-profits, Irvine Sunshine Ordinance, Irvine Transparency Portal, 시의회 의원 멜리사 폭스, John Russo, John Russo Irvine City Manager, land exchange, Lighthouse Community Center, Lighthouse Community Centers., Mark Asturias, Measure D, melisafoxblog.com, Melissa Fox, Melissa Fox blog, Melissa Fox for 68 Assembly District, Melissa Fox for 68th AD, Melissa Fox for 68th Assembly District, Melissa Fox for Irvine, Melissa Fox for State Assembly, Melissa Fox Irvine, melissafoxblog, melissafoxblog.com, melissajoifox, National Equity Fund, Nghị viên Melissa Fox, open government, open government Irvine, Orange County, Orange County Auditor-Controller, Orange County Auditor-Controller Eric H. Wollwery, orange county ca veterans cemetery, Orange County housing, Orange County Taxpayers Watchdog, Orange County Taxpayers Watchdog Award, Orange County 市議員梅利莎福克斯, permanent affordable housing, permanent affordable housing Irvine., Roger Sievers, Sunshine Ordinance, Transparency Portal, Transparency Portal. 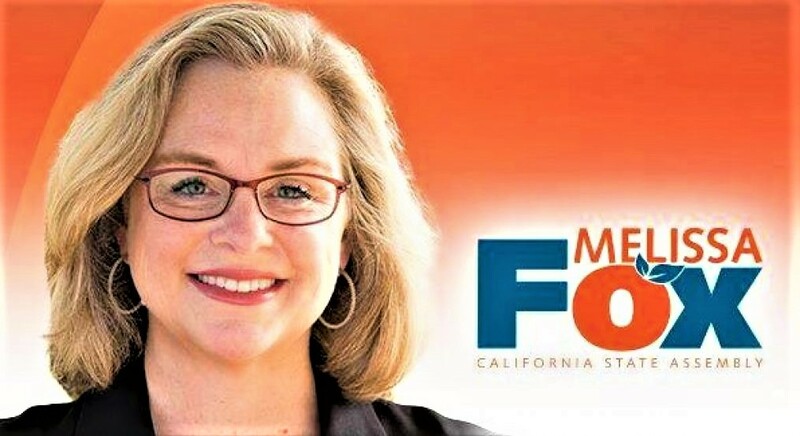 Bookmark the permalink., veterans housing, veterans housing Irvine, votemelissafox, votemelissafox.com, 市議員梅利莎福克斯, 市议员梅利莎福克斯, 一員メリッサ・フォックス, عضو شورای ملیسا فاکس.